Upcoming spring is a good time for icicles to grow. And take pictures of them. 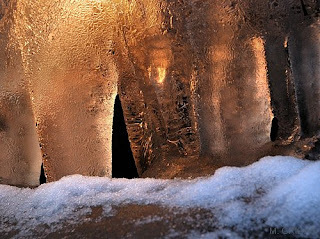 This one is shot with the SB-800 + Full CTO gell fired directly into the ice from above.